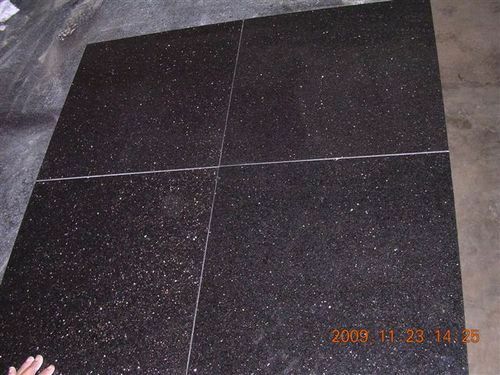 The goodwill that we have acquired in the market is due to offering premium quality assortment of Black Galaxy Granite. Precisely processed employing advanced technology at our advanced production unit. this stone is highly appreciated among our clients for its salient attributes such as fine finish and smooth edge. in addition, our offered stone is tested by our quality controllers to eliminate ant possible fault. moreover, our valuable clients can avail this stone at market leading price.